Horan Estate & Letting Agents are delighted to introduce No128 Woodfield to the Galway property market. This bright and spacious family home set in a quiet cul de sac has been beautifully maintaned by its current proud owners and would instantly impress first time buyers, families and investors alike! 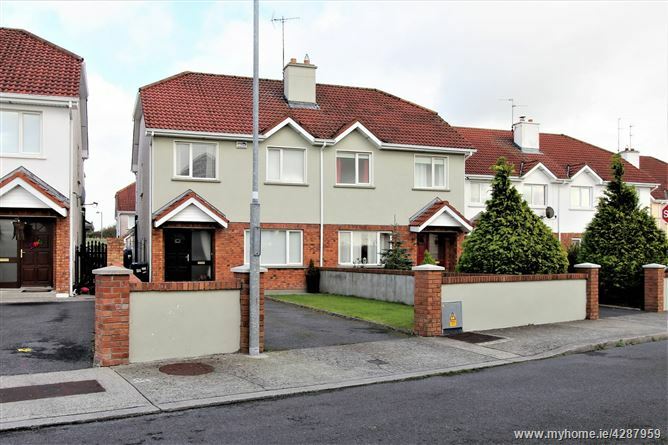 Located in a quiet residential area in the heart of Tuam, this property is close to endless amount of local amenities and offers great public transport options. - Only 5 min to Lidl food store. - 5 min to Tuam town centre with a selection of shops, restaurants and other amenities. - 6 min to Scoil Bhríde, Gaelscoil Iarfhlatha. - 5 min to Tuam Stadium - Saint Jarlath's Park. - The newly opened M17 motorway is only a short 2 min drive away, offering quick link to Galway City as well as other commuter towns in the east Galway area. This and much much more. Viewing is highly recommended!